The Missoula Economic Partnership began the new year by hiring Julie Lacey to serve as its new director of economic development, replacing Jenni Graff who left last year. The hire is the first under Grant Kier’s tenure as the organization’s executive director. 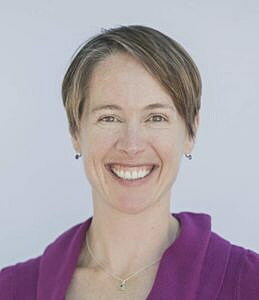 “We’re thrilled to welcome (Lacey) to MEP and are confident that her skills and experience navigating the complexities of community financial assistance will round out our stellar team and elevate our capacity to deliver tangible, meaningful outcomes to Missoula,” Kier said in a statement. Lacey recently served as director of client relations for MoFi, where she worked to connect capital to people and projects outside the mainstream financial system. She also oversaw MoFi’s community facilities lending program. Before landing at MoFi, Lacey worked as director of marketing for the Bureau of Business and Economic Research at the University of Montana. Lacey replaces Graff as director of economic development and represents the first significant hire under Kier’s tenure. Graff left in September to work for 4Cast – an upstart Israeli tech firm now based in Missoula. Kier replaced former CEO James Grunke in September last year. Lacey also serves as a violinist with the Missoula Symphony and holds an MBA from the University of Montana and an undergraduate degree in economics and environmental studies from Bowdoin College.